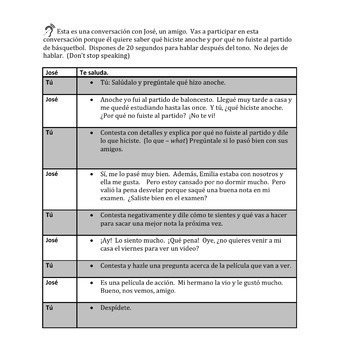 Students get familiar with the structure of the AP Spanish Conversación simulada with this lower-level version. 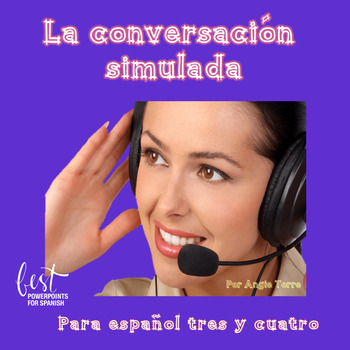 They listen to the audio, read the prompts and respond orally. Appropriate for Spanish Three or Four. 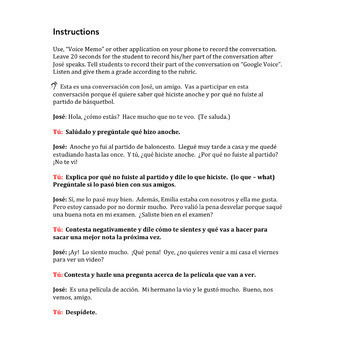 I used it with my Spanish Three students. To receive freebies and notifications of new products, click HERE to follow me.